With the road season beginning again, it is a good time to remind ourselves of some of the etiquette and rules. It is also important to remember that when we are on the road, we are representing our club and our sport. We had a fantastic night of racing last night with some really impressive performances. Our ever-delving collector of all information relating to cycling in the south needs your help please. Congratulations to the following riders who have been selected to represent Southland at the upcoming 2012 RaboDirect Age Group Track Championships. The best in the business of track cycling are in the south (yet again) this week for the RaboDirect Elite Track Nationals from Saturday to Monday. Southland has a proud recent record having lifted the National Points Shield as the top Centre in the country in 2008 and successfully repelling all-comers every year since. We urgently require expressions of interest from our U17 riders wishing to attend the 2012 Wagga Wagga junior tour in Australia. A gusty, blustery Saturday made for some challenging conditions that really tested the field during the Waianiwa Circuit race on Saturday. 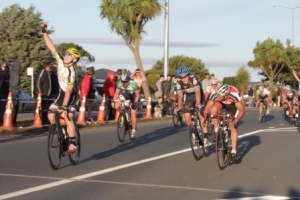 The 2012 Oceania Road Championships are being held in Queenstown from 16-18 March. The event is your chance to race the Aussies in the stunning Queenstown region - the training ground of national champs James Williamson and Nicky Samuels! 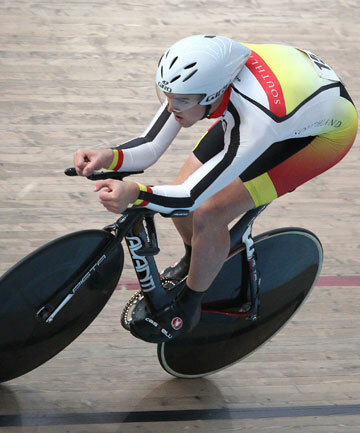 The Southland squad has been named for the 2012 New Zealand Elite Track Championships and U19 Omnium. After some PB’s and fast times at Oceania’s I was lucky enough to be selected to ride at this year’s Beijing World Cup in the individual sprint and team sprint with Eddie and Simon. Tuesday night again saw some good racing off the back of last week’s ILT New Year Carnival. Junior Worlds representative Dylan Kennett again showed his class in winning a riveting Gore to Invercargill Classic last night. Please join us for a Junior Division Meeting this Thursday 19 January, at 7pm. The days of slowly working your way back in to the new year are gone. Cycling Southland is right in the heart of our most hectic time of the year. In fact, it hasn't really stopped since October. Alexandra's Sophie Williamson pretty much did it all last week. 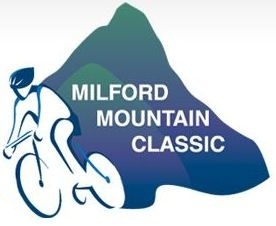 The 17-year-old won the women's race in the inaugural Milford Mountain Classic on Wednesday night, spent two nights on the track as part of the New Year carnival and was racing on grass at the Browns sports on Saturday. 40 riders took on the blustery conditions of the 2012 Invercargill to Browns Road Race. Cycling Southland's four representatives at the UCI World Cup in Beijing all distinguished themselves overnight. Check out the results from Tuesday night's racing events. Queenstown Oceania Road and TT Champs organisers are seeking volunteers.